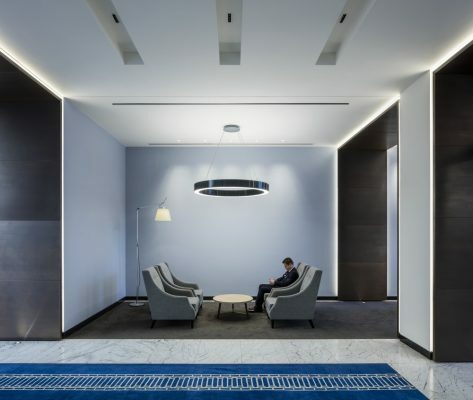 Architecture practice Orms has completed work on the Hallmark Building, providing 70,000 sq ft of modern open-plan office accommodation over 4 floors. 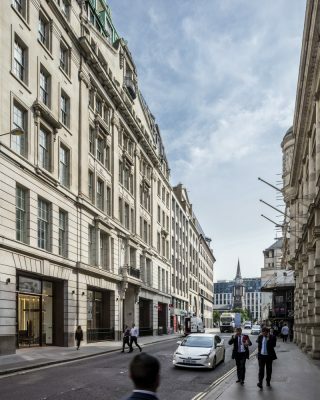 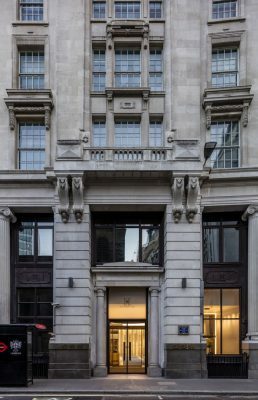 The newly equipped and re-designed offices are situated in the heart of London, between Fenchurch Street and Leadenhall Street. 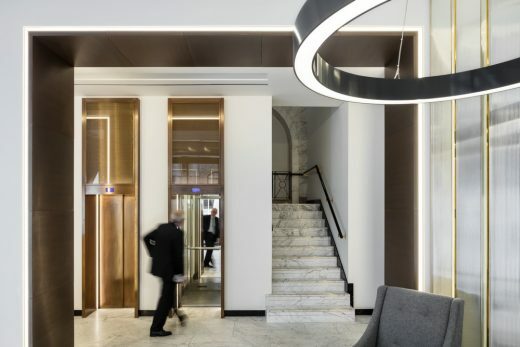 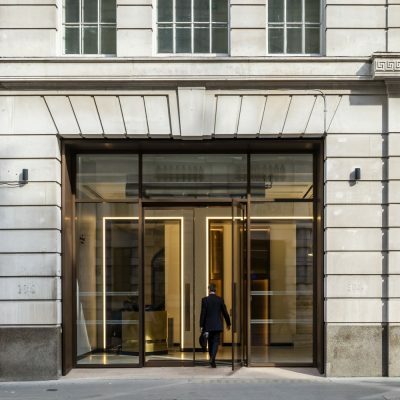 Orms was appointed to transform the entrance, reception and office accommodation to create a mixed-use building that reflects a consistent palette of high quality materials such as bronze, marble and feature lighting that revitalises the craftsmanship of the building’s interior. 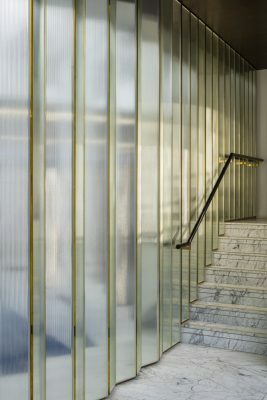 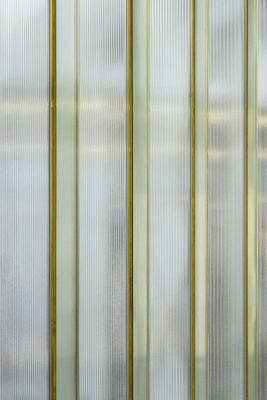 For the entrance and communal areas on the ground floor, Orms has inserted fully glazed bronze framed doors to offer a visual connection through the link corridor, which promotes the previously underused route between both sides of the building. 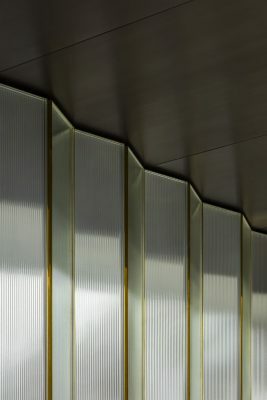 A complex arrangement of transfer steelwork concealed within the new Leadenhall reception finishes has allowed two of the existing columns within the reception to be removed, completely opening up and transforming the space. 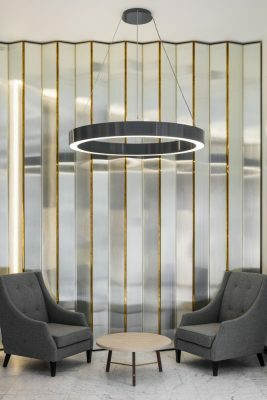 Completed in a contemporary feel, the reception area is intended to speak to the future with a node to the past, and features white marble floor tiling which was hand selected from a quarry in North West Italy. 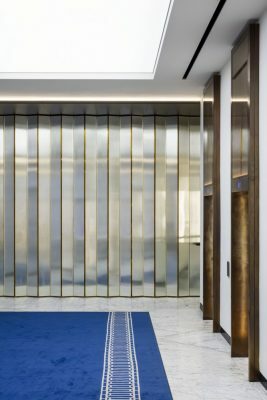 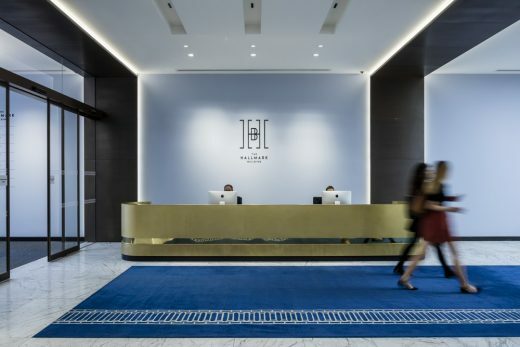 Upon arrival in the reception, the visitor’s eye is drawn to a hand-made 15m vibrant blue rug which features a bespoke motif taken from the existing window detailing in the link corridor. 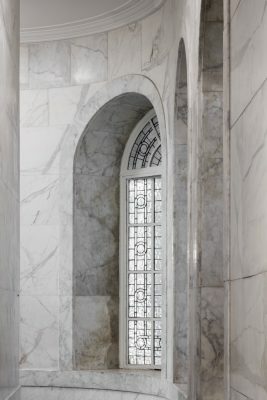 This motif is also referenced in the glazing manifestation throughout the building. 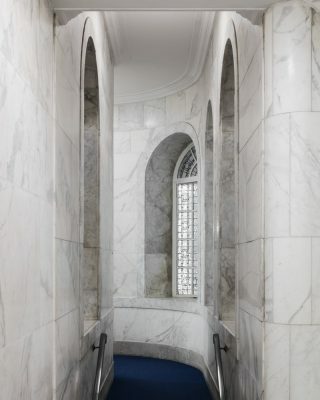 The cores imitate their previous Art Deco stance, by exposing the existing marble wall cladding which has been sensitively repaired and cleaned throughout. 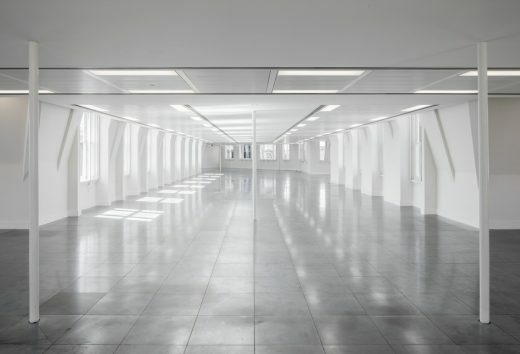 The CAT A office space has been designed to maximise the floor to ceiling heights and increase natural light throughout the floor plate. 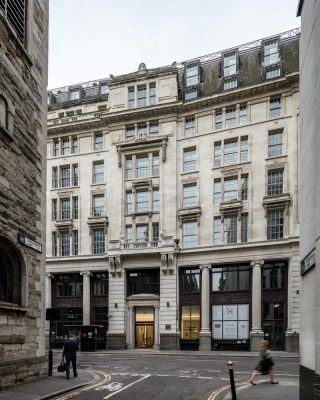 The renovations also include a fully BREEAM compliant cycle centre facility in the basement, utilising previously underused storage and plant areas. 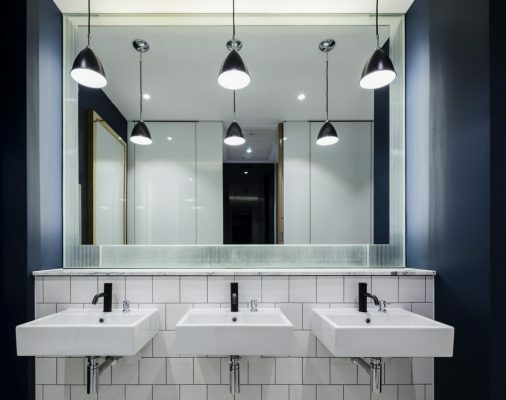 The centre provides, shower facilities, lockers, drying room and cycle racks and Orms’ in-house artist designed a bespoke spray paint graphic and logo that references the Art Deco building design. 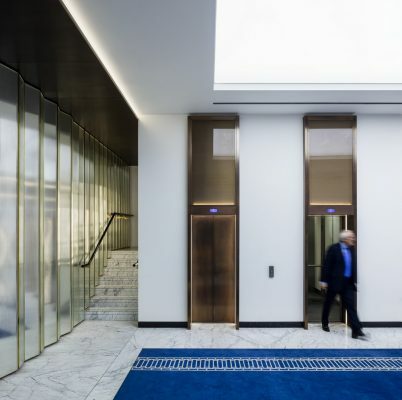 Richard Keating, Associate Director at Orms said: “The refurbishment of the Hallmark Building was driven by an exploration in some of the finest materials and how they can be brought together to create a unifying spatial identity.